9/ 30. 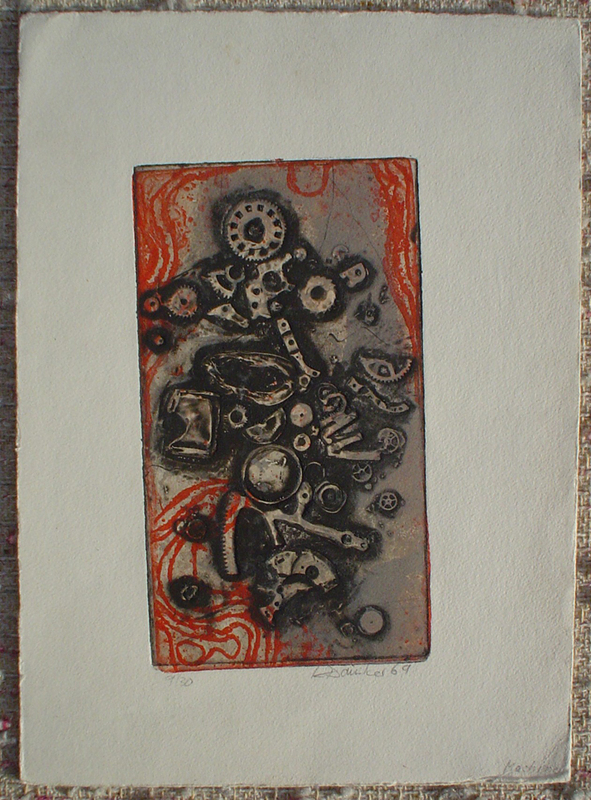 Hand-signed and numbered by artist, Klaus Daeniker, in pencil, directly under image plate. 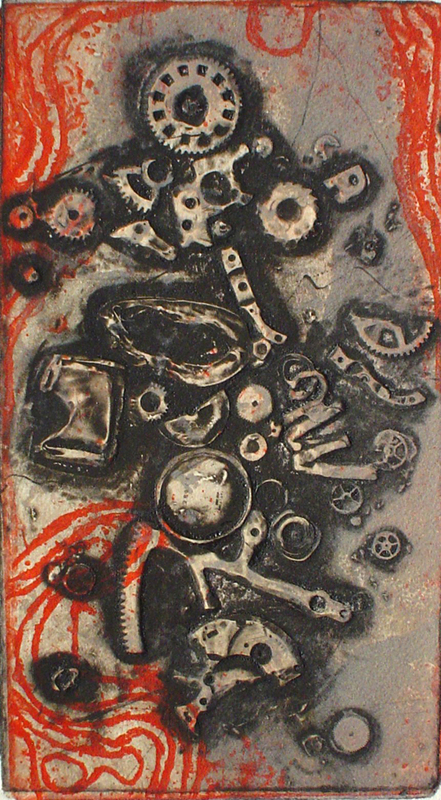 Titled "Machine" by artist in pencil farther outside of image plate, in lower right corner of sheet.